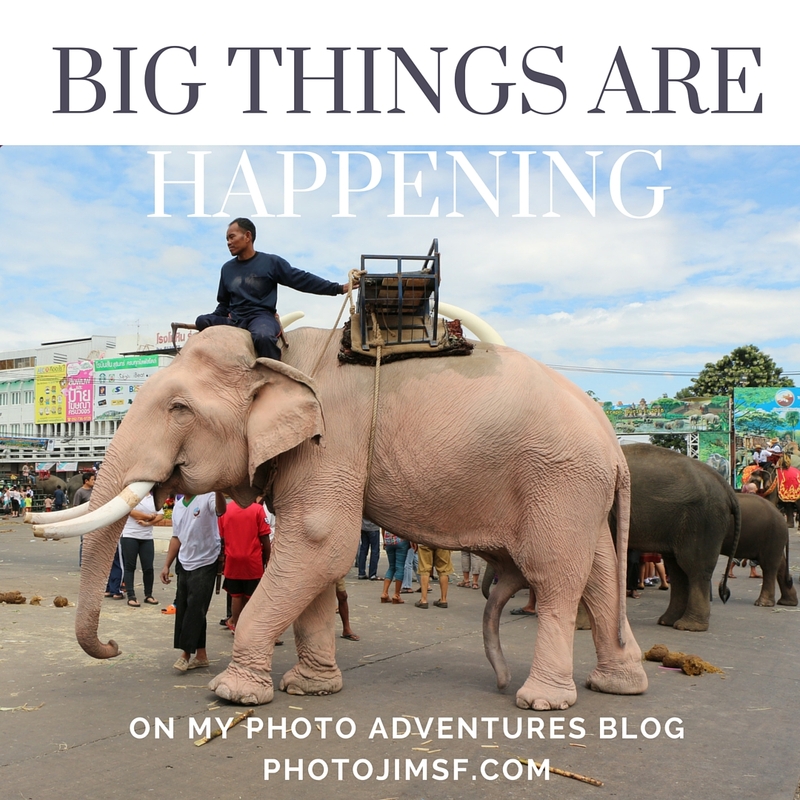 Elephant Festival Preview – Photojimsf!!! Yes indeed I’m starting a huge project about my trip to Surin, Thailand in 2014. I attended the annual Elephant Roundup, taking about 20,000 pictures over the four day festival. Starting with the elephant buffet, over 250 elephants come to town for parades, pageants, historic battle re-enactments, tricks, games, and dancing. What a feast for the senses, especially the eyes. And sweet, gorgeous people. The project started with the above video. I shot it just outside the elephant pageant stadium, about an hour after the show. Many of the mahouts (the elephant’s caretaker and master), make extra money selling sugar cane to tourists like me, to feed back to the elephant. I decided it needed an SEO tune-up, added music, a nice new thumbnail, and a ruthless editing. In the process of looking at the pictures I took that day, I found they had marinated long enough. It’s now time to set them out on the buffet, and pick and choose.